Yesterday, on may 20, we had a quite intense, hot and long race in the Sports Complex "333". The opening parade, with a motivating speech, congratulated the riders race director Valdis Brutāns, representative of the track, as well racing driver Haralds Šlēgelmilhs and one is now the most talented Latvian racing drivers - Reinis Nitišs. Šlēgelmilhs did not participate in this race, but his speech acknowledged that gladly would like to jump in to the karting. While Reinis Nitišs spended his free day at the karting track, racing together with drivers from KZ2 class. Overall race was played very successfully. 148 participants were racing together on this stage. Cups, medals and award-winning spots on the podium divided. The fight on the track in each race remains exciting and ever fiercer, promising indeed exciting sequel to the next,four season’s Latvian Open Karting Championship, Pro-Kart and LMT Autorsport Academy stages. 3rd place - Patrik Noels Ločmelis. 3rd place - Matvejs Makušins. 3rd place - Raiko Annask. 3rd place - Juris Zālītis. 3rd place – Hannes Tampere. 3rd Place - Patriks Sniedze. 3rd place - Lita Mediņa. 3rd Place - Roberts Klinsons. 3rd place - Austris Cers. 3rd place - Artjoms Mihailovs. 3rd place - Krists Ziders. 3rd place - Armands Jakušenoks. 3rd place - Kaspars Dambis. 3rd place - Reinis Nitišs. 3rd place - Andrew Lopatin. 3rd place - Sandris Lavniks, Riga Technical School. 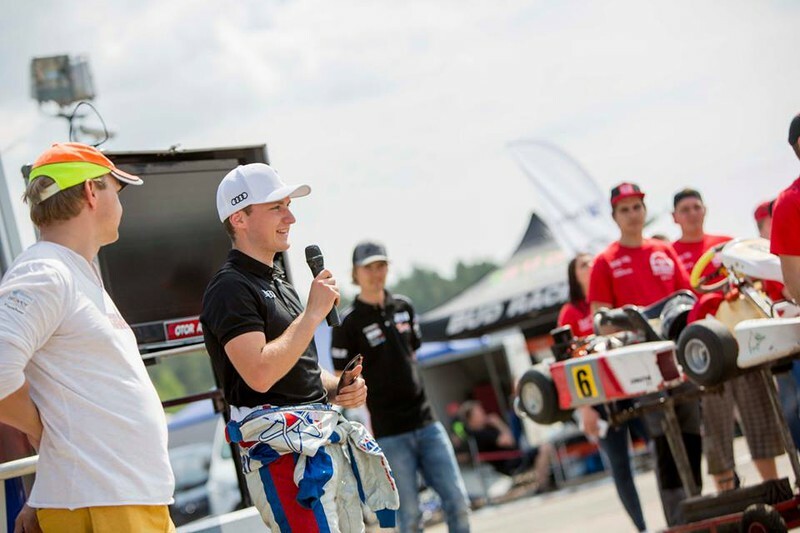 On June 10, all we will meet again at Madona Karting track already on the third karting season stage, which means that the Latvian Karting Open Championship, Pro-Kart Cup and LMT Autosport Academy half of the season will be done. We remind you that all the race results, photos, videos and information will be available on our website www.prokart.lv , Section "race". Mēs piedāvājam individuālus, komerciālus un biznesa aizdevumus ar ļoti minimālām ikgadējām procentu likmēm, kas ir 3% no 1 gadu līdz 50 gadu ilgam atmaksas periodam uz jebkuru pasaules daļu. Mēs izsniedzam aizdevumus no €5,000 līdz €10,000,000.00. Mūsu aizdevumi ir labi apdrošināti, lai nodrošinātu maksimālu drošību, ir mūsu prioritāte. Ieinteresētajām personām vajadzētu sazināties ar mani pa e-pastu zemāk.